Automotive Accident Reconstruction: Practices and Principles introduces techniques for gathering information and interpreting evidence, and presents computer-based tools for analyzing crashes. This book provides theory, information and data sources, techniques of investigation, an interpretation of physical evidence, and practical tips for beginners. It also works as an ongoing reference for experienced reconstructionists. 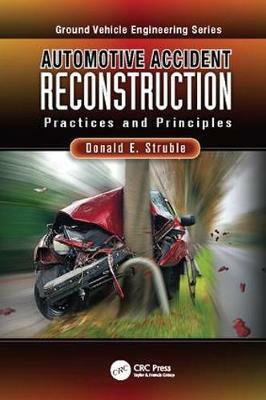 The book emphasizes three things: the theoretical foundation, the presentation of data sources, and the computer programs and spread sheets used to apply both theory and collected data in the reconstruction of actual crashes. It discusses the specific requirements of reconstructing rollover crashes, offers background in structural mechanics, and describes how structural mechanics and impact mechanics are applied to automobiles that crash. The text explores the treatment of crush energy when vehicles collide with each other and with fixed objects. It delves into various classes of crashes, and simulation models. The framework of the book starts backward in time, beginning with the analysis of post-crash vehicle motions that occurred without driver control. This text can also serve as a resource for industry professionals, particularly with regard to the underlying physics.